Dr. Johnson’s research focuses on understanding how early life experiences (e.g., poverty, trauma, life events) shape the biology of child and adolescent health and development. Currently, she is investigating biological and social mechanisms in the intergenerational transmission of health disparities. 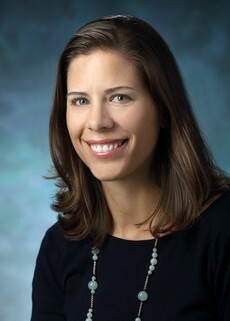 Other research interests include brain development adolescence and its implications for adolescent health policy, social influences on neurodevelopmental trajectories, and adolescent injury and violence prevention. Johnson SB, Riis JL, Noble KG. State of the Art Review: Poverty and the Developing Brain. Pediatrics. 2016 Mar 7. pii: peds.2015-3075. [Epub ahead of print] Review. PubMed PMID: 26952506. Riis JL, Granger DA, Minkovitz CS, Bandeen-Roche K, DiPietro JA, Johnson SB. Maternal distress and child neuroendocrine and immune regulation. Soc Sci Med. 2016 Feb;151:206-14. Johnson SB, Riley AW, Granger DA, Riis JA. The science of early life toxic stress for pediatric practice and advocacy. Pediatrics, 2013;131(2):319–327. Johnson SB, Blum RW, Giedd JN. Adolescent maturity and the brain: the promise and pitfalls of neuroscience research in adolescent health policy. J Adolesc Health. 2009 Sep;45(3):216-21.